As a small celebration of our anniversary (4 years of marriage, 12 years being together. Woot! ), 1/2heart and I decided to try the relatively-new Japanese restaurant in Sydney - Yayoi - which specializes in teishoku (a.k.a. meal set). Don't be mistaken - japanese meal set is nothing like the usual meal set you'd probably get in western restaurants (burger, chips, and soft drinks, anyone?). 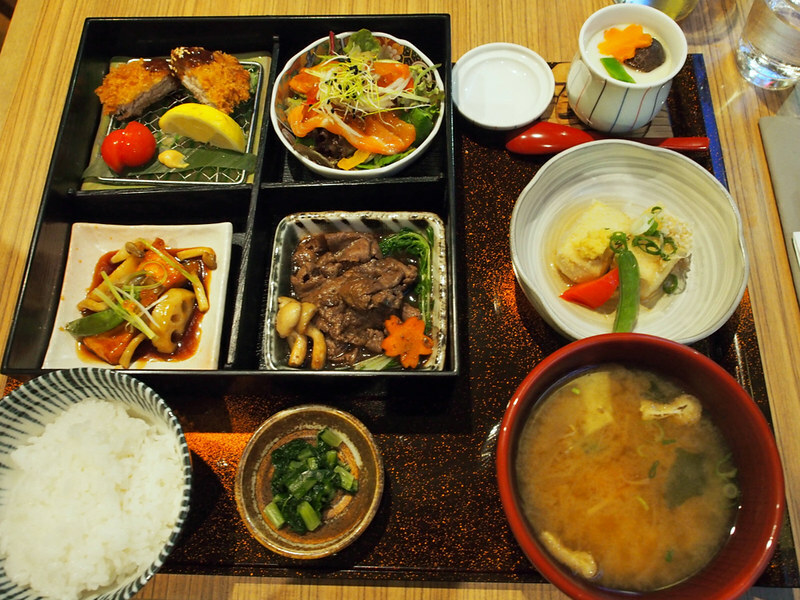 In a japanese teishoku/meal set, they emphasize in presentation and an array of well-balanced ingredients - from soup, vegetables, meat, as well as the rice (which is probably the most important element in japanese and asian meal. After all, most asians haven't 'truly eaten' if they haven't had rice as part of the meal). Yayoi does this true to how it's done in Japan: intricate and tantalizing. We started with some Umeshu - both on the rocks (just the swag term of having some ice cubes in it), as a refresher and palate cleanser. Gyu Tataki (A$16) and Age Dofu Dengaku (A$12.50) came soon after, as our ordered entree. The tataki was served with ponzu jelly, giving it just a hint of citrus sourness. The taste was excellent, but I couldn't help but to lament that the beef pieces themselves were a bit sinewy to my liking. The Dofu Dengaku was a better hit for me, fried with very light crisp batter and served with miso paste. As part of dinner service, our rice was served kamameshi style - cooked in a pot on our table while waiting for our mains to arrive. The rice took around 20 minutes to be ready, then the staff served the rice into our individual bowls. 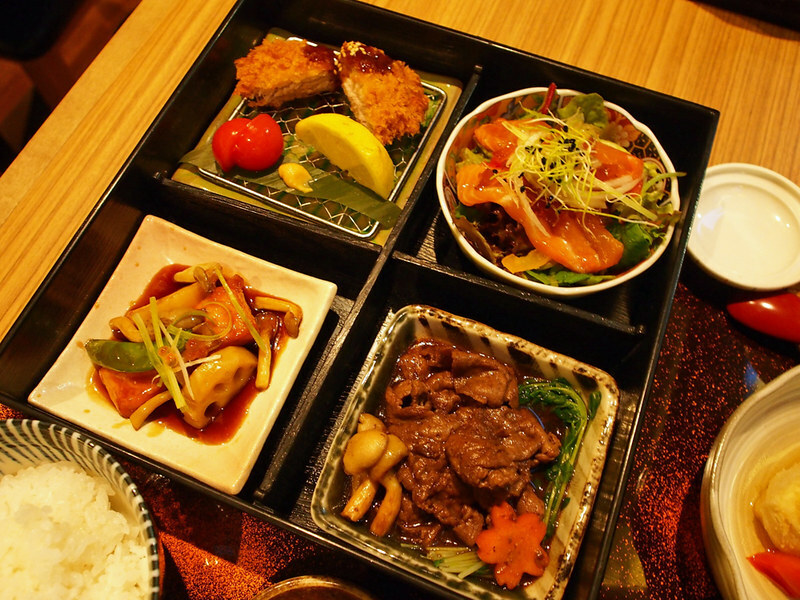 I ordered Yayoi Gozen (A$39), a pretty set containing a little bit of everything: pork katsu, salmon salad, wagyu beef, and salmon teriyaki). 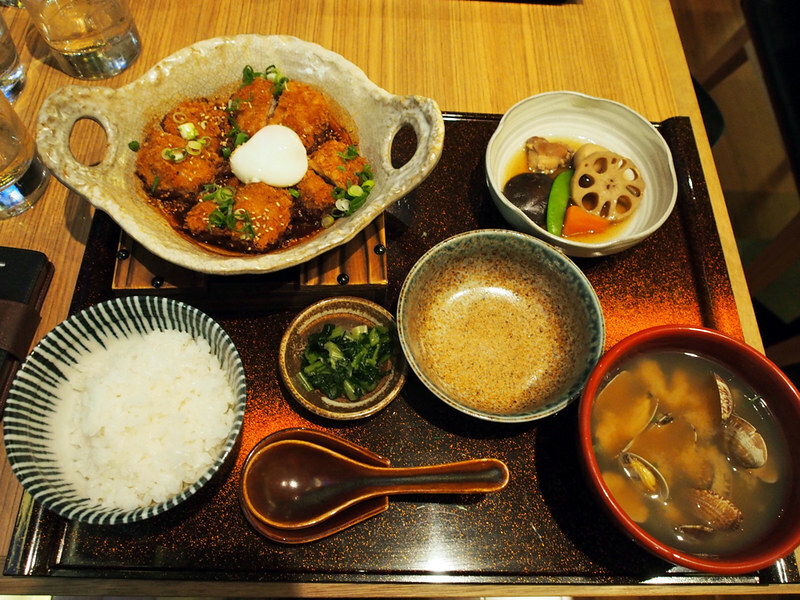 It also came with lightly fried age dofu, miso soup, and chawan mushi (steamed japanese egg custard). It is certainly very pleasing to the eyes. The presentation is excellent, But nothing out of this dish really impressed me (apart from the visuals of course). Tonkatsu pork in the set was quite good though, probably on par with another place that does it well - Miso. 1/2heart ordered Miso Pork Fillet Kastu Teishoku (A$28), and although the pork katsu was again - excellent, the runny poached egg did not come 'runny'. It was pretty much almost hard boiled (or hard-poached, whatever the term). 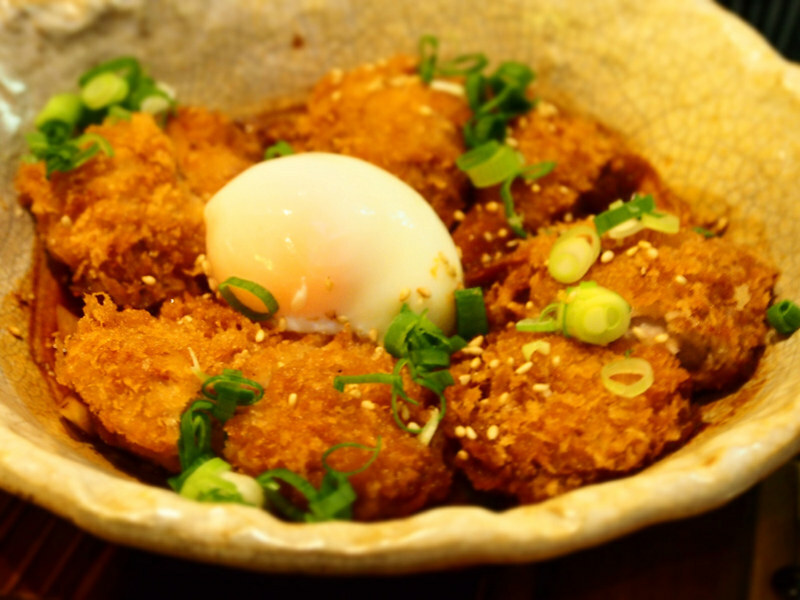 I mean, you were supposed to slather the runny egg yolk all over the pork katsu to give them more flavour and texture (or so the menu said), but instead it became a pretty much an independent side dish of fully cooked egg. We wanted to try their warabi mochi, but they didn't have any. Boo! Why! 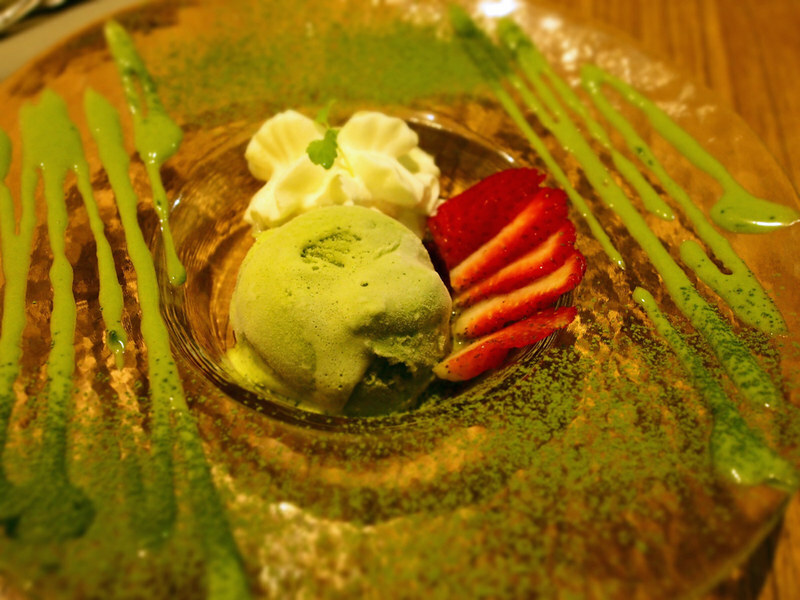 So anyway, we decided to get Matcha Ice Cream ($9). It was disappointing. Not enough matcha flavour, and for $9, it was hardly bigger than a size of golf ball. 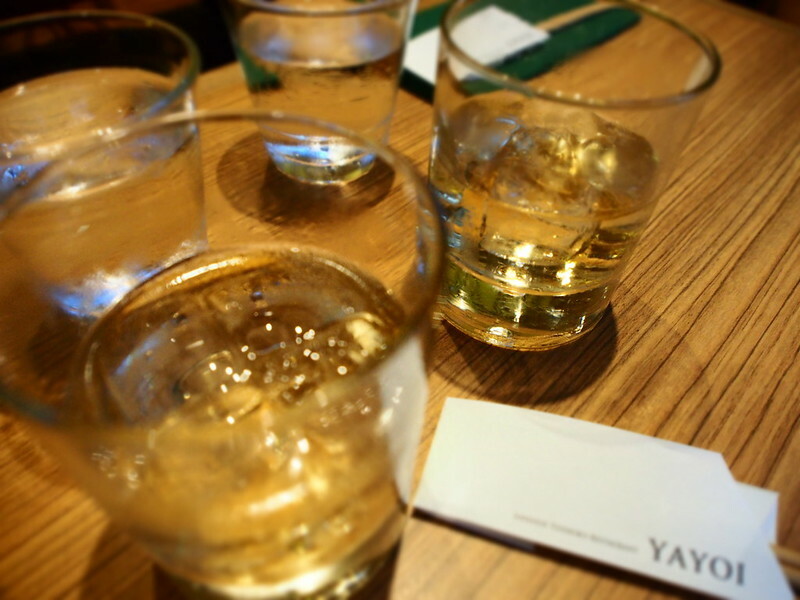 It's certainly an interesting concept, but I think Yayoi has to maintain its quality & menu sufficiently.